Properly designed bike lanes like this one on Glasgow Ave in Glasgow make an excellent case. At least for this photo, all vehicles are seen moving well away from the bicyclist, providing far more than the required 3' of passing space. Poster's notes: Not sure what the results would be here, where bike lanes are commonly found on arterial roads with speed limits in the 45-50 mph range. 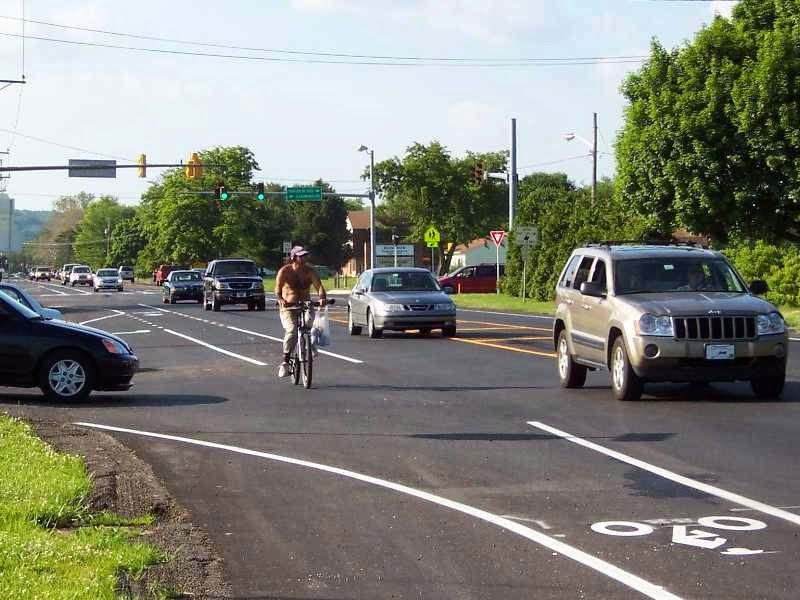 Bike lanes can be controversial because many are poorly designed and fail to consider bicyclist's needs as participants in vehicular traffic. Often times, however, the opposite is true. 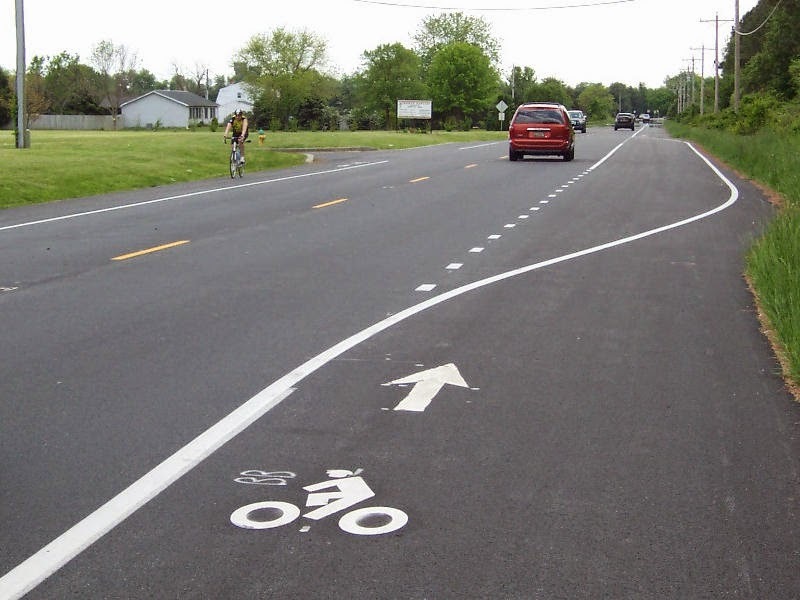 Many bike lane treatments - like the above in Glasgow - are properly designed and find support among a large majority of Delaware bicyclists. One example of an improperly designed bike lane is found on Red Lion Road/Route 71. If it was striped this way for cars, the solid white line would guide them into the woods.